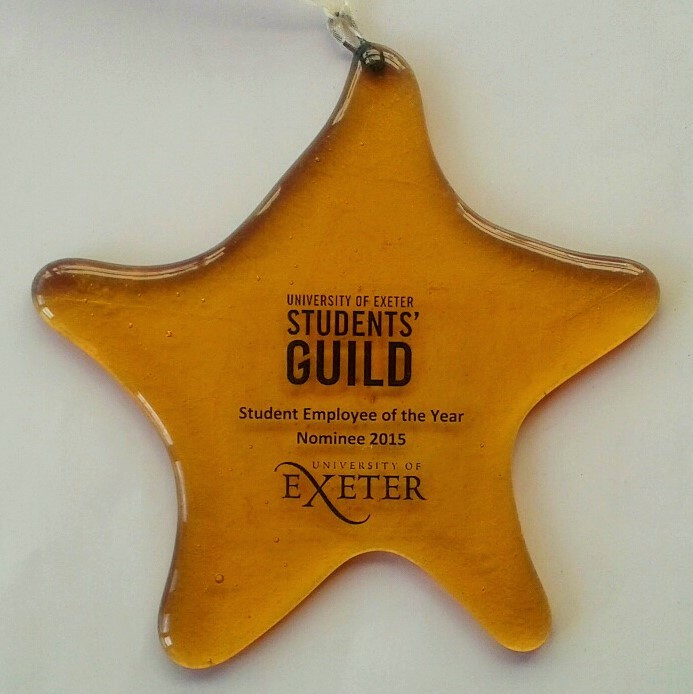 Over the last few months I have been working on a large order for Exeter University; who commissioned me to make 60 awards and each one is totally unique. 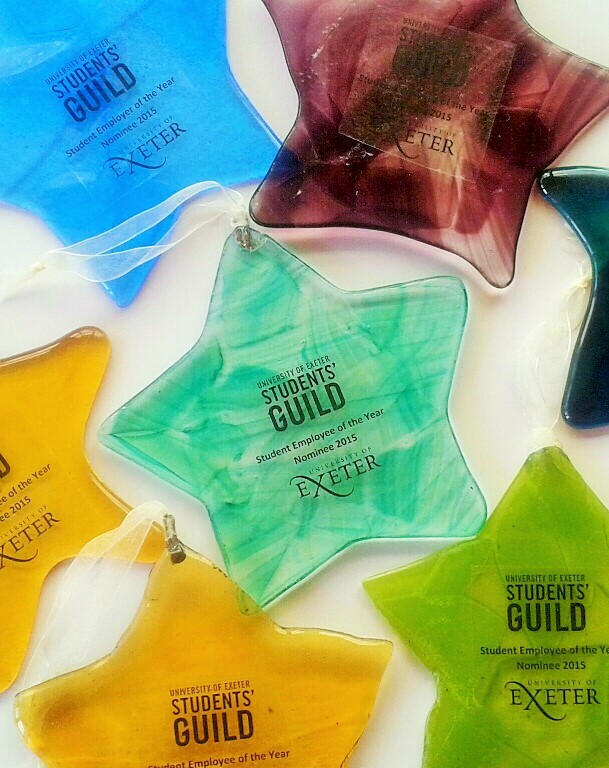 The 50 nominee awards are in the shape of stars and are made by piecing small pieces of waste stained glass together and then fusing them together in the kiln. 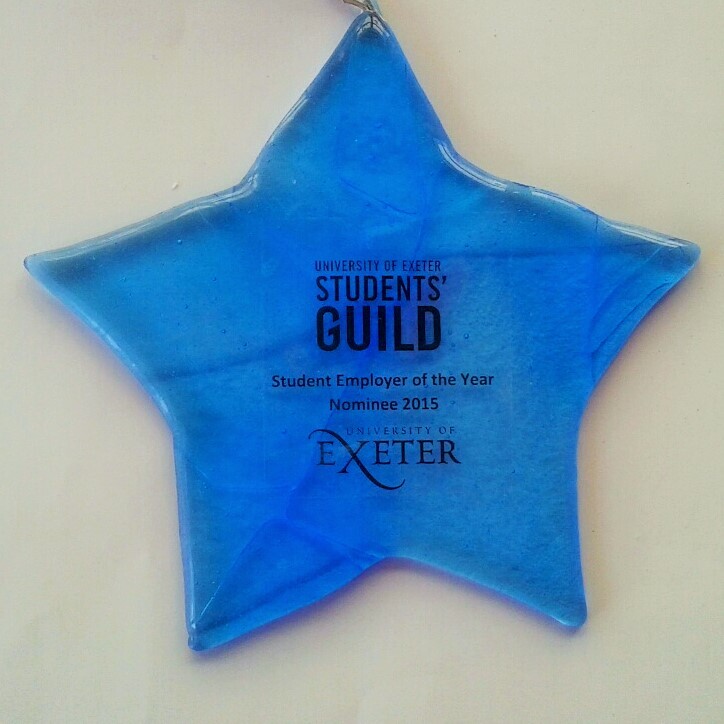 The 10 winners awards were made by casting the glass into boxes I specially made from fireboard, each with a fibre paper star in the centre. I then melted the glass on a very hot casting cycle so it completely took on the shape of the mould. 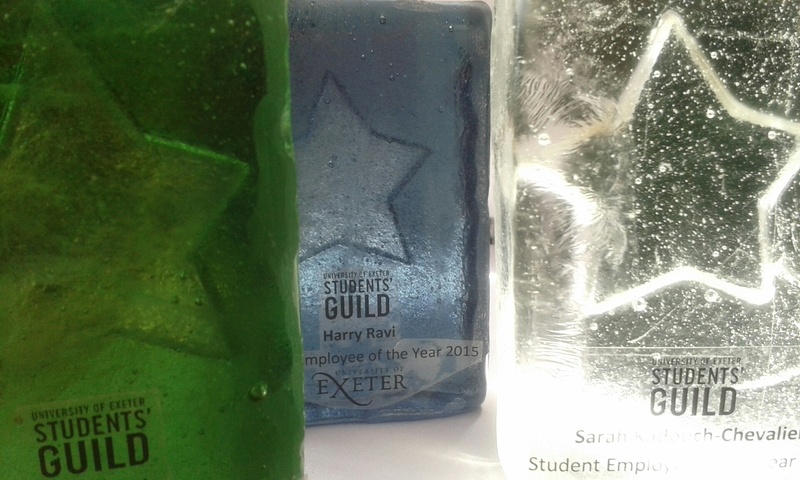 The glass I used for these awards was rescued from a skip when a glass blower had abandoned a studio and although kiln cast they are actually made from glass blowing skillet (large chunks of glass). 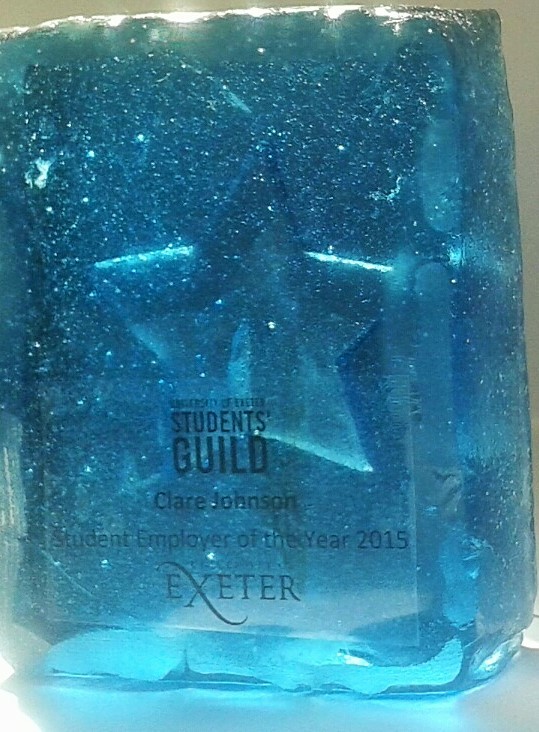 The University award ceremony takes place next week, I hope they like their awards! A y ear and a half in the making (from initial idea to finished piece) with a lot of mistakes and disasters along the way; my multi sensory glass window is finally in its new home! ‘Round the Mulberry Tree and Up the Chocolate Stairs’ is in the foyer and the Mulberry Tree Cafe in Exeter Community Centre on St David’s Hill, Exeter. Below is the full explanation of what on earth its all about. It’s a bit. wordy, but that really reflects how absorbing I have found the process and the social history that underpins the window. In 1838 The West of England School (WESA) opened its doors to offer ‘instruction and employment’ to blind children across the whole of the West of England. The school grew and by the 1930’s was offering boarding school accommodation, to children with visual disabilities from a wide area. Basket weaving, piano tuning and other vocational skills were being taught to ensure that children left school with employable skills. It’s hard to imagine what it must have felt like to be a small, visually impaired child, separated from your parents (who were as far away as Bristol) and expected to learn to adapt to a new city and an enormous school building. But adapt they did! Some pupils stayed at the school when they graduated and worked there until their retirements, others became piano tuners and basket weavers and far more besides. 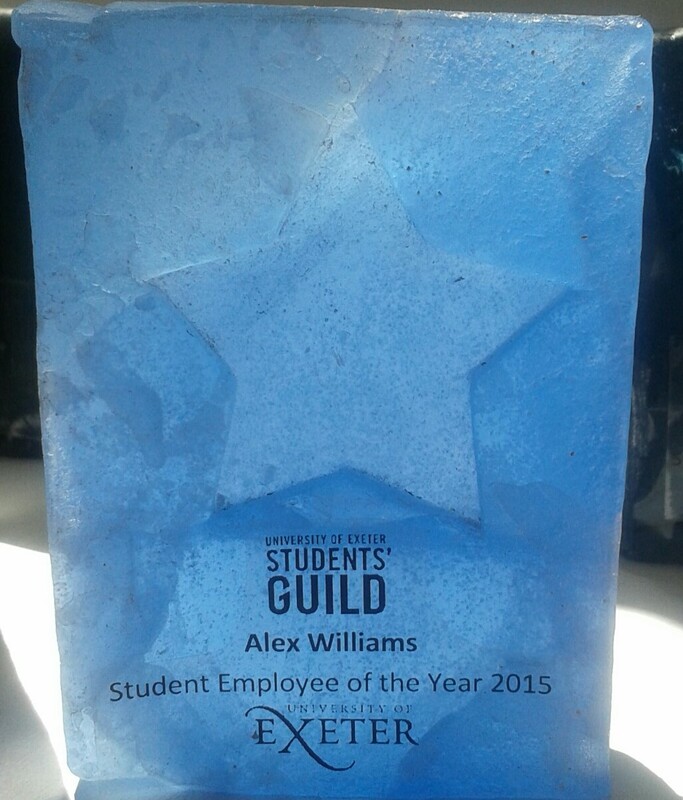 I was funded by Arts and Health (MMU) and Exeter Arts Council to create a glass panel for the foyer/café of ECC specifically to engage local people over 60 in the Arts. So in August 2013 I held a one day workshop in the ECC with the some of the alumni of the school and the other organisers and artists contributing to the larger picture . All participants had been pupils there (before the school moved to a new purpose built site in 1965). 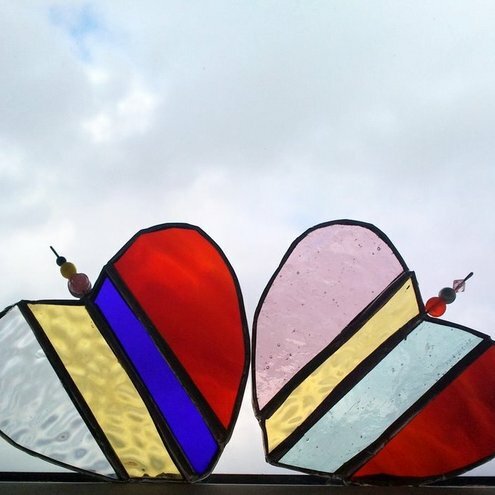 The workshop was intended to be part oral memory capture, part engaging local older people in the arts and ultimately to create artwork which I could incorporate into a finished window for the Community Centre. Basket weaving was the obvious choice for our workshop activity, as it was taught widely in the school. The workshop participants still had a good memory for how to weave and we spent the day weaving recycled electrical wiring and remembering the past. The workshop was a great success; as most of the participants were children in the 1930-50’s and they not only gave me all the material I needed for my panel, but took my back through the history of the area, the terror of the blitz, what all the buildings in the local area were used for and the joys and pains of being a visually impaired child in a boarding school. It was a touching day for all, especially the joy of realising the ancient mulberry tree was still in the garden and then eating the fruit and the disappointment that the chocolate stairs had been removed. The Chocolate Stairs were so named by the children at the school because they were inlaid with squares of wood which resembled the chunks of a chocolate bar. 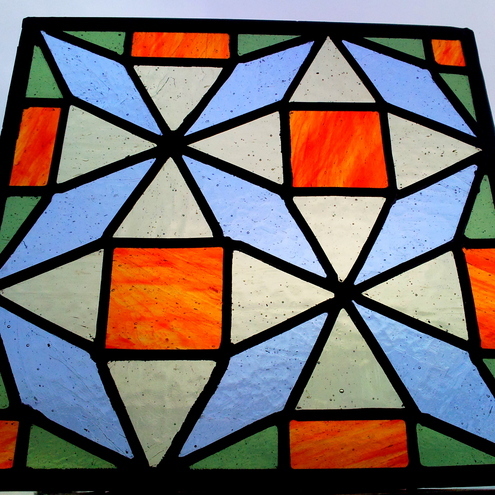 Originally I had intended to make a stained glass window, but it seemed wrong to make a 2d piece of visual art which visually impaired people could not enjoy fully and so I decided to mix photographic firing with textured, touchable glass work. Three separate rectangular panes of glass are zinc framed and represent the austerity and formality of the building and the teaching that went on within it. Many of the voices were positive about their time in the school and this panel is a celebration of that. But several voices were not so happy and found the building a difficult place to be and were glad to leave. From the café side of the panel there is no clear images; instead lights, shapes, suggestions of form and texture reflects the experience of visual impairment. Most visually impaired people have some sight, be it fuzzy shapes or shadows and this side of the window attempts to recreate this experience. From the foyer the textural elements of the panel come into play and you are welcome to touch it GENTLY! The pan el really celebrates the exuberance of childhood, I have cast mulberries, mulberry leaves from the tree and the basket weaving created by the participants of the workshop. 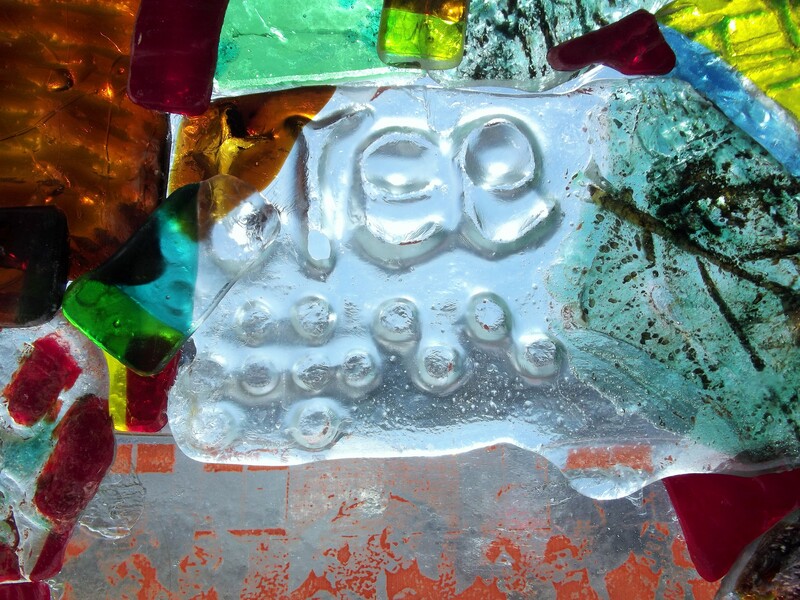 The colourful nature and multi-plane texture of the piece reflects the different memories and stories – all the fragments of memory coming and going and building on each other. 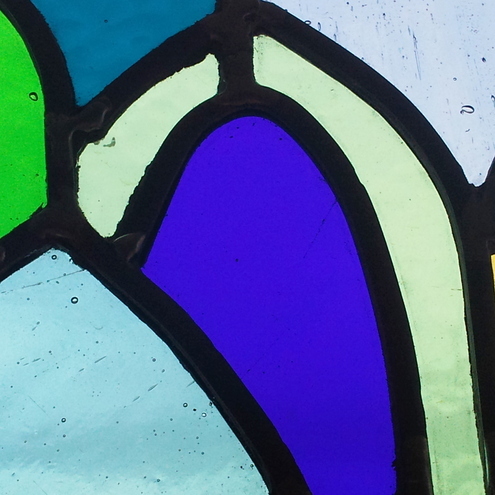 At the bottom right of the top panel there are several balls of wool cast into the glass. These were saved by one of the pupils from their darning lessons and I am so glad I managed to cast them, especially as they had such a delicate texture. 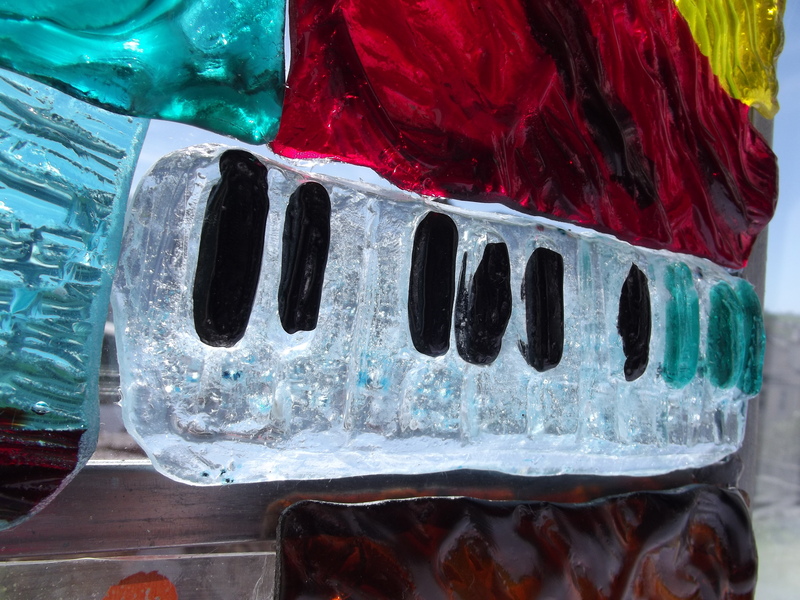 Music in general was very important to the school, which produced excellent musicians and piano tuners, hence the musical notes and the piano keyboard I have cast for the central section. The school sold many high quality items of basket weaving and the area where the foyer now is would have been part of the shop area, hence all the basket weave textures. All of the photos have been reproduced with kind permission of WESA, from their archive and all depict the pupils and teachers at the school. The seated 19th Century gent is Robert Hawkins and the only photo I have a name for. The panel has been made from many small pieces of cast glass which is a technically difficult and time consuming process and if I am honest at times I thought I may never get all the elements to work! Firstly, I create a mould, using clay and plaster and once I am happy with the mould I fill it with glass and heat in the kiln until it melts to form the shape of the mould. Once cool these are ‘cold worked’ to remove all sharp edges and I have then attached these to a traditional window backing. The finished effect has the formality of the flat window on one side and the jutting and contours of the textured glass on the other. Many thanks to everyone who helped with the workshop and participated, especially Stuart Crewes who was a great help through the whole process, my first ever funding application too! 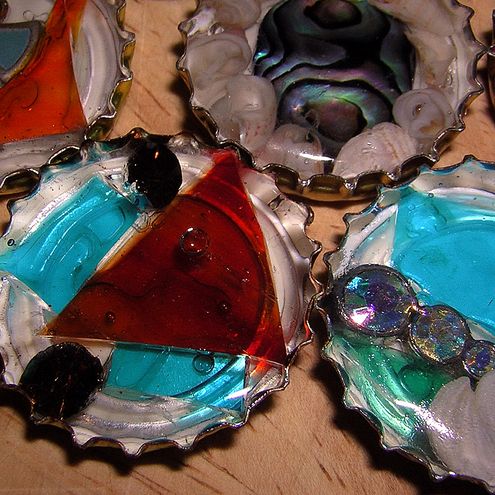 Started on my cast glass multi-sensory window. 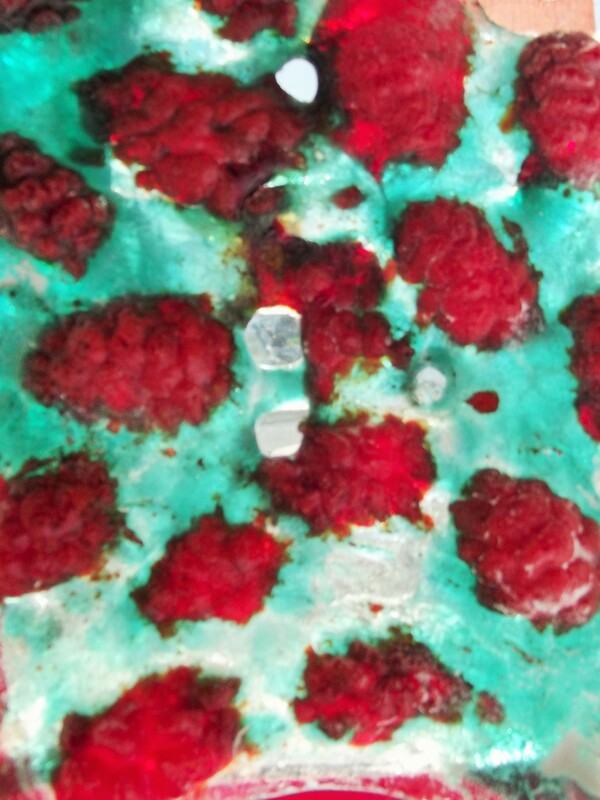 I am making the clay base, the crushed glass then melts into the imprints in the clay when it melts in the kiln.